Misi Taulupapa has been made Newcastle captain for the 2019 season. The Samoa international will employ a wealth of experience and leadership skills as Thunder skipper this year as the club chase promotion to the Championship. Taulupapa, 36, has made over 250 career appearances and has impressed Thunder coach Jason Payne since arriving in the North East. On being appointed captain, Taulupapa said: “I was surprised at first as we have a lot of leaders in our team, one being Liam Finn who has got a lot of experience behind him, but I am grateful for this captaincy. 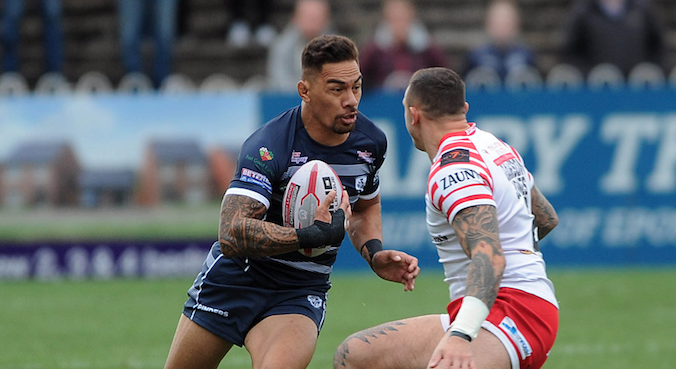 “I’ve had previous captaincy roles at both Sheffield Eagles and Featherstone Rovers but it was great to hear from Payney that I have respect from the players and he has picked me. “Even though I can see that I am at the back of my career I’m still just as hungry.